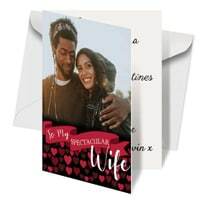 You can get a free personalised Valentine's day card from 1ClickPrint so hurry up and get yours right away. Follow our link, choose your design, personalise it and then get it delivered to you. You will have to pay postage charges. Click on “GET IT HERE” button and then follow instructions given above to get this freebie. You will have to pay £2 P&P charges.